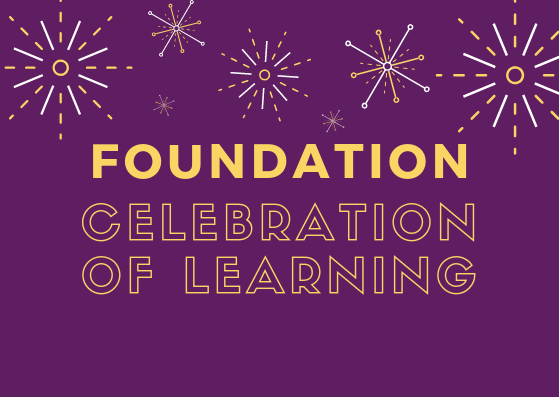 Join the Foundation students on Wednesday 19 December, from 2:15 – 3:15pm for a Celebration of Learning in the Foundation Learning Space. The Foundation students wish to invite their families—including parents, grandparents, siblings and others—to come and celebrate all the wonderful learning that has happened across the year. Come and play games, hear songs performed by the children, visit your child’s favourite section of the Foundation space and see some of their work.